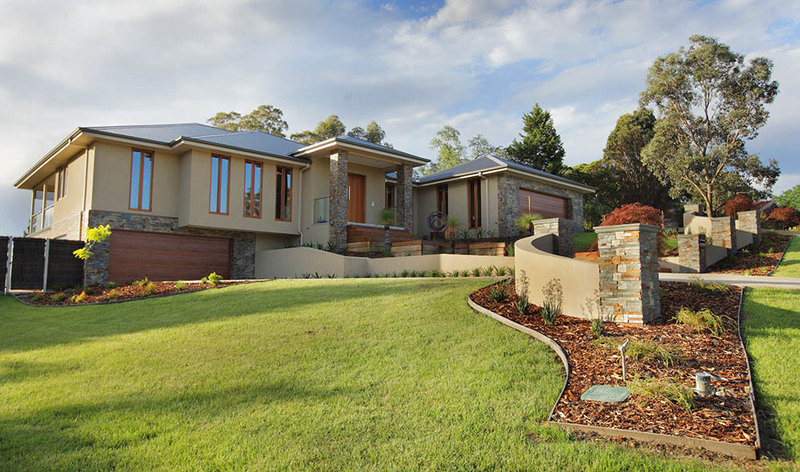 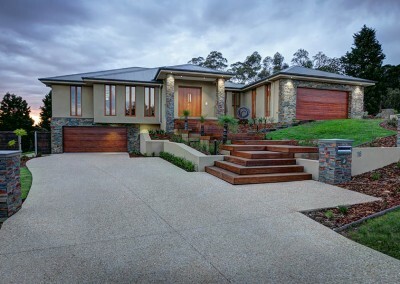 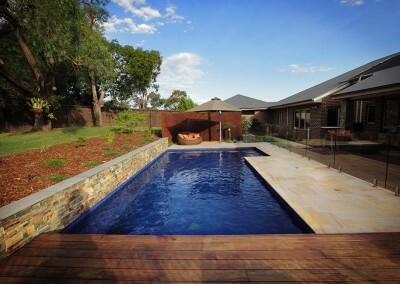 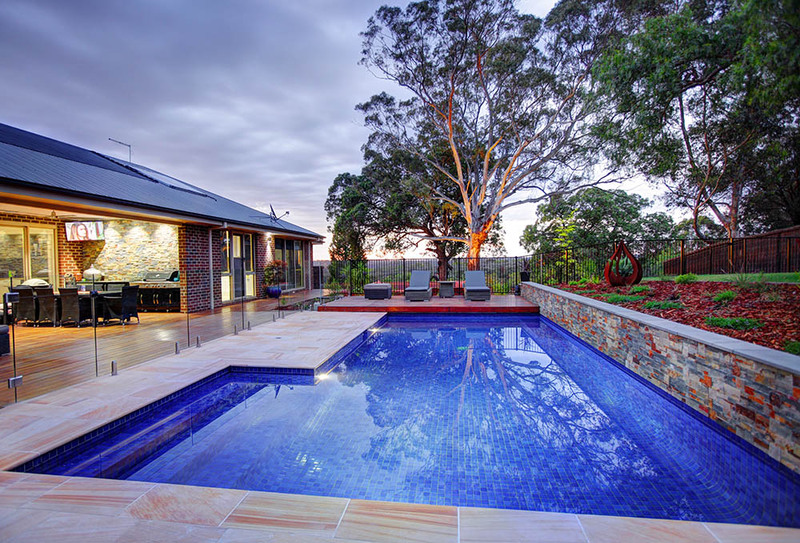 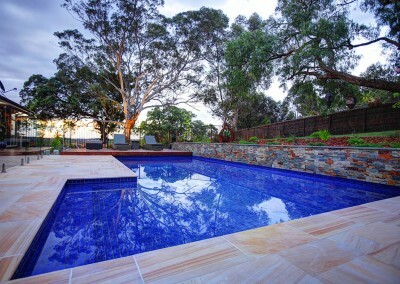 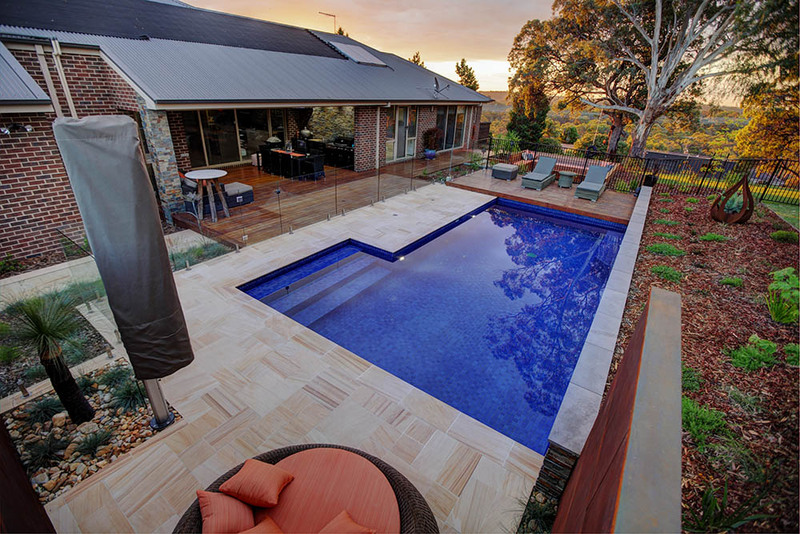 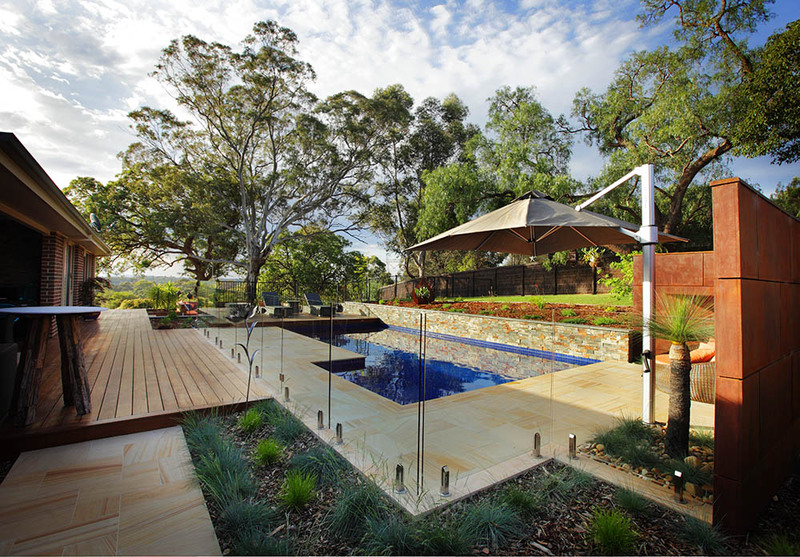 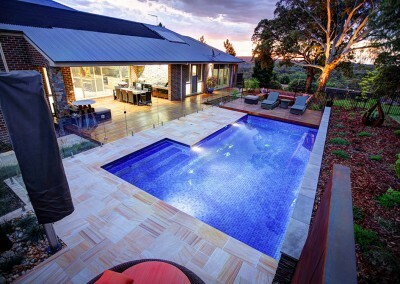 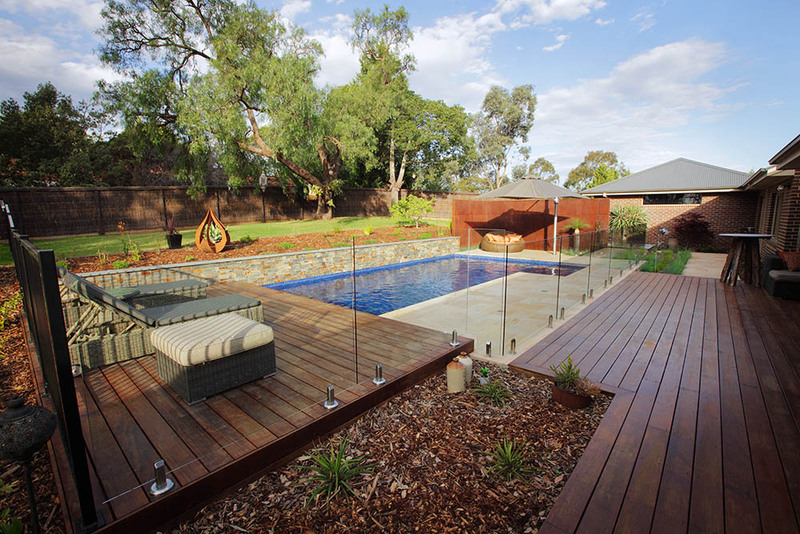 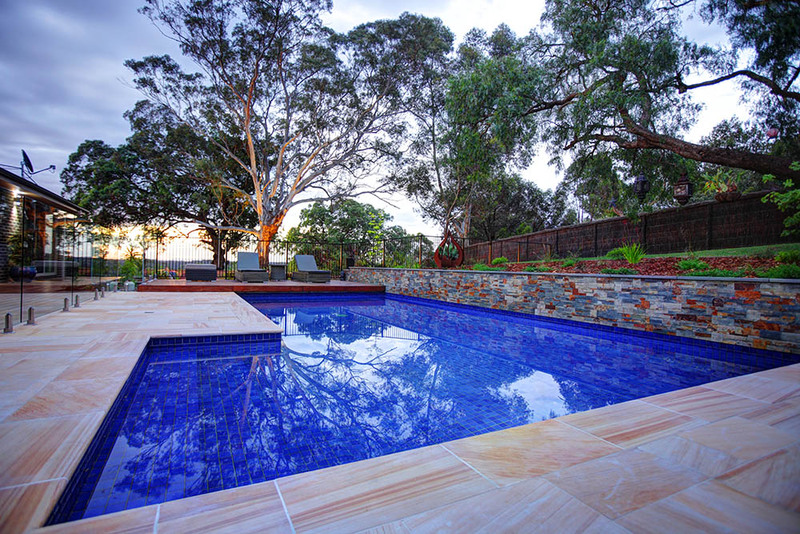 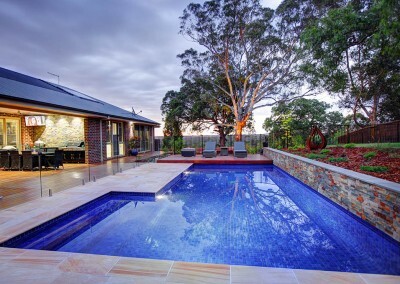 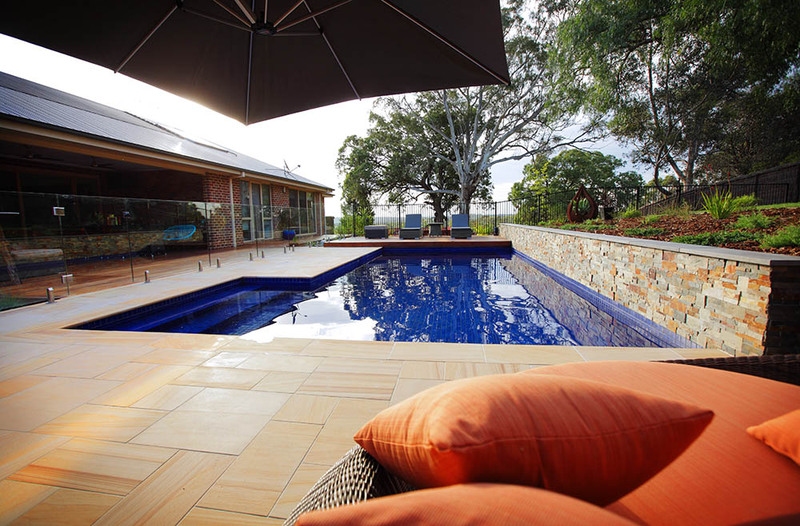 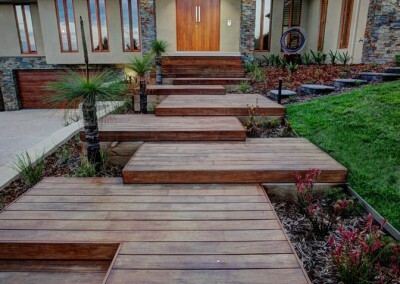 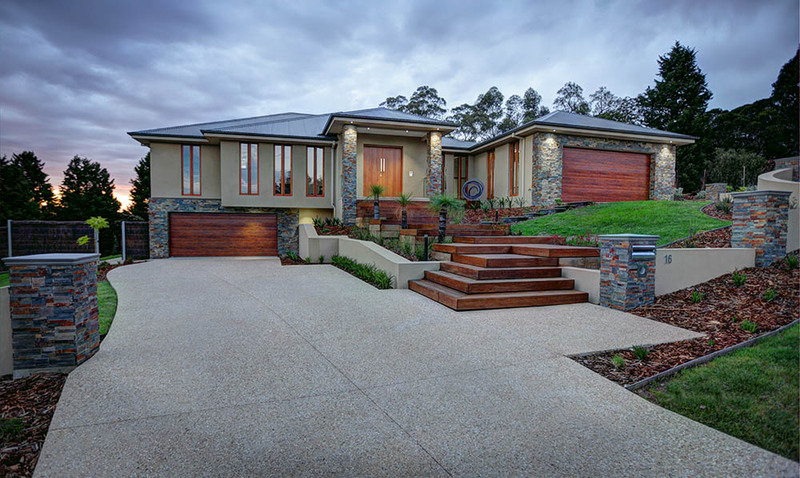 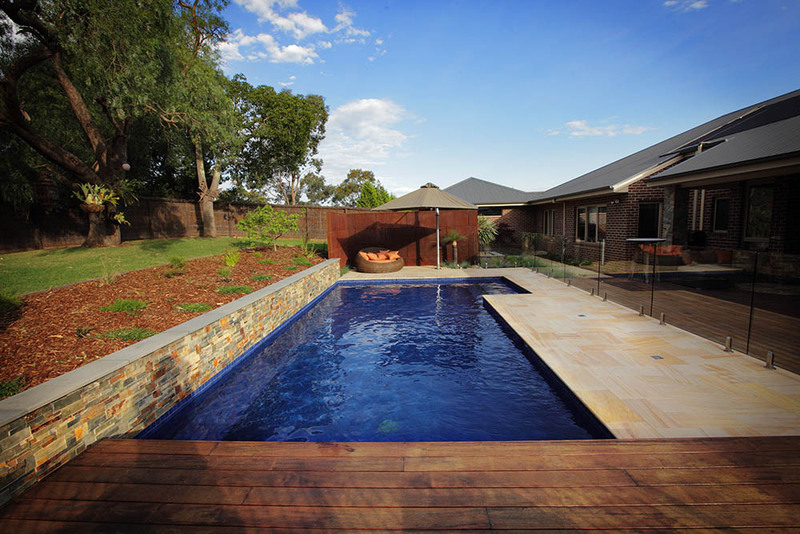 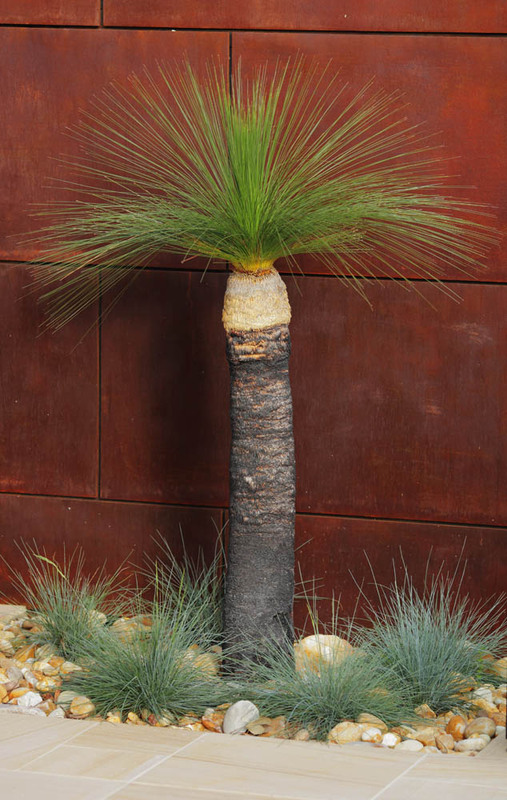 With idealic natural bush surrounds, this beautiful property was the perfect background to showcase all the individual aspects of the Landscaping and Pool Design. 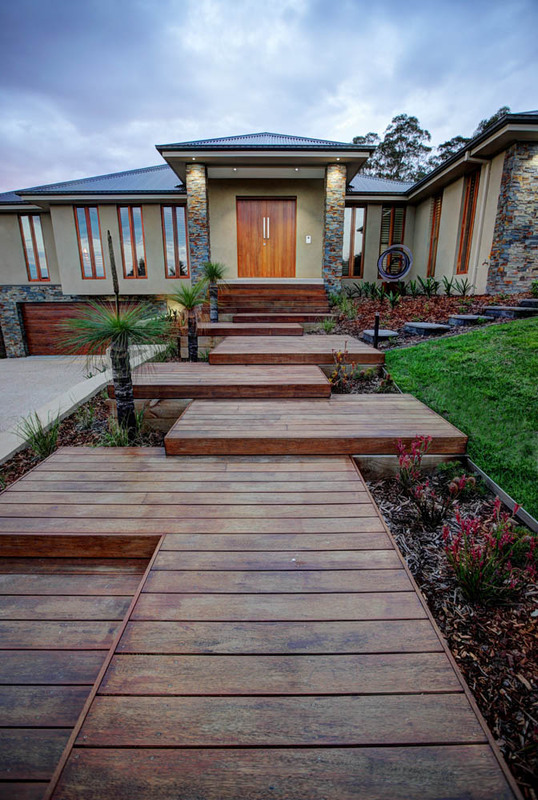 On arrival at the property, the majestic entrance of multi-level decking platforms leading to the front door promises volumes, and upon further exploration, does not disappoint. 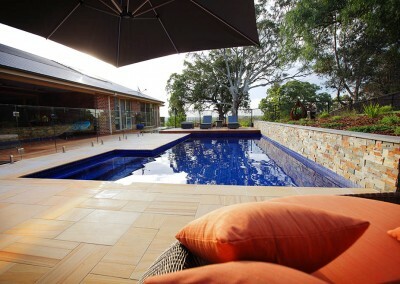 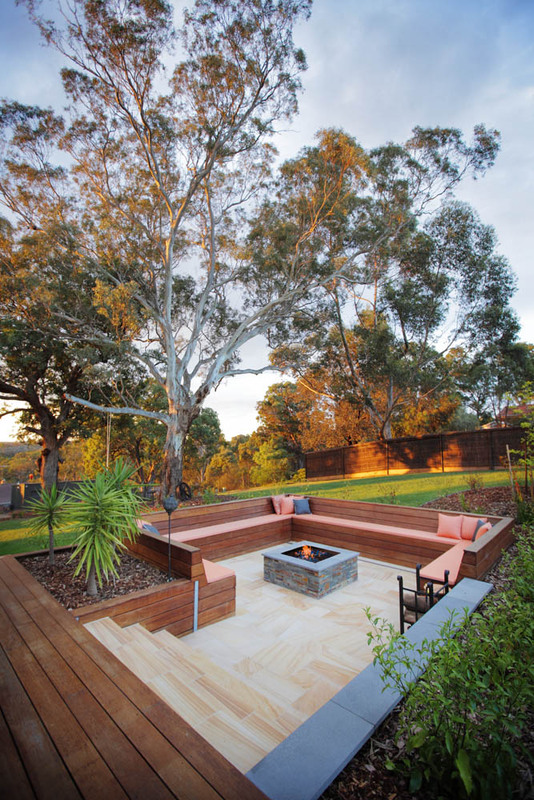 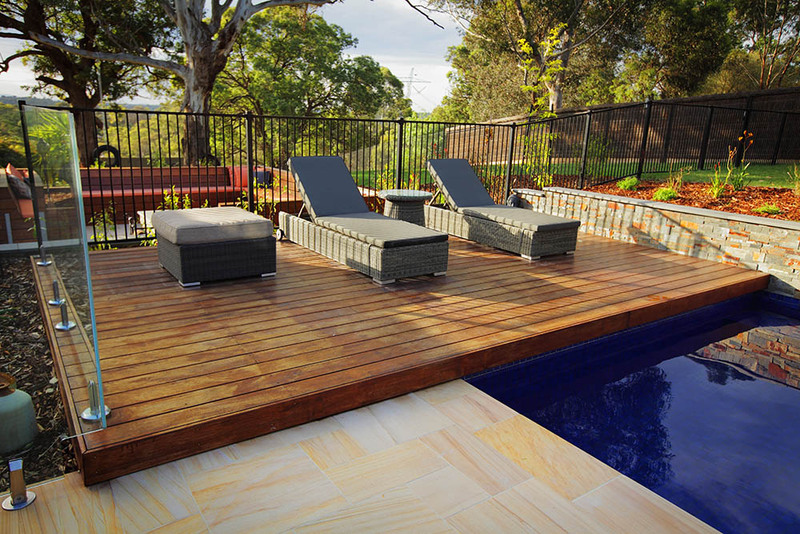 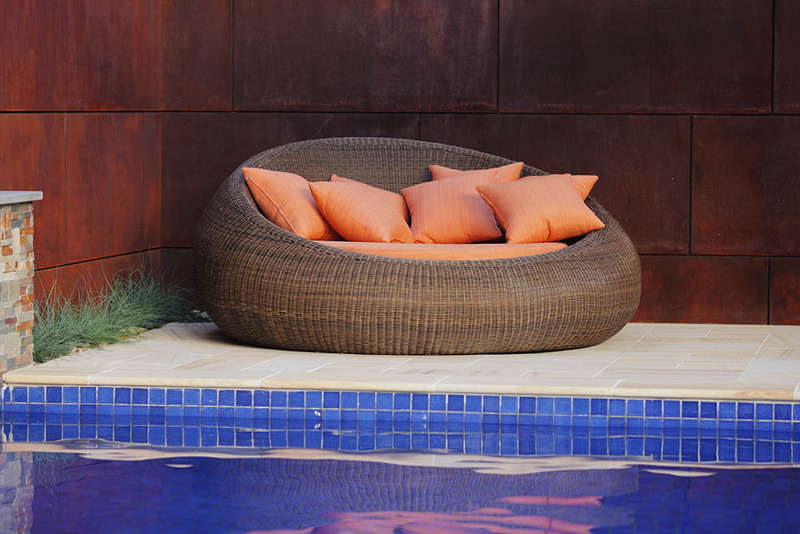 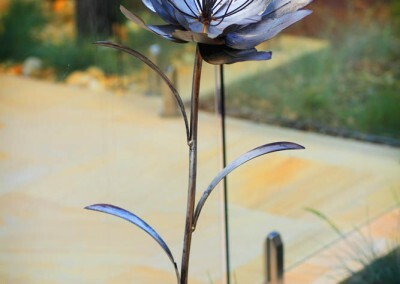 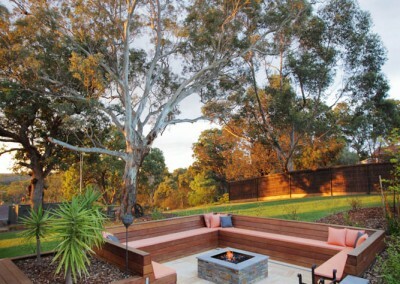 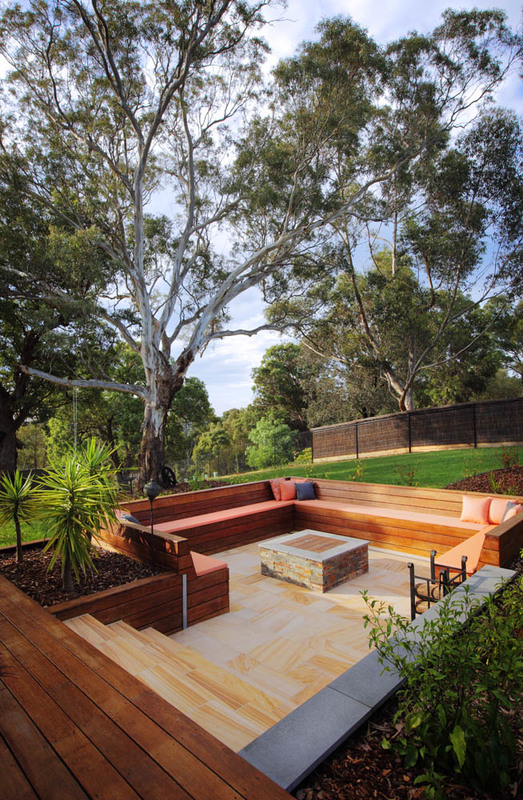 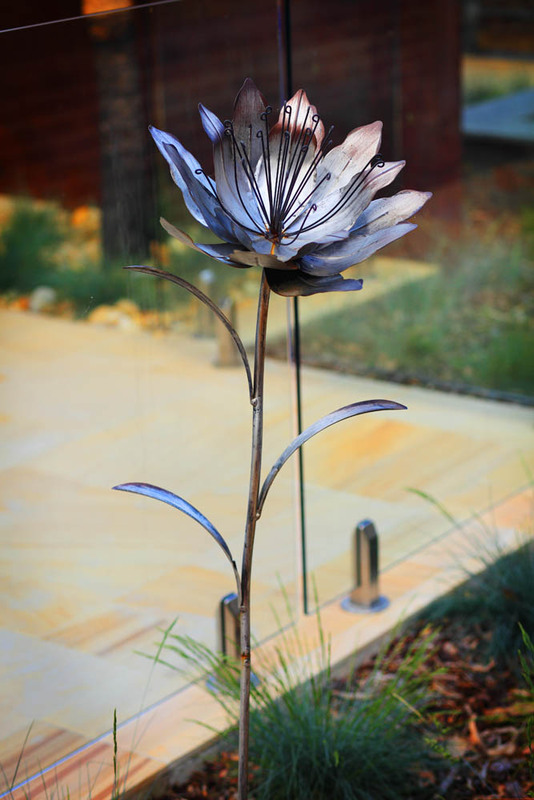 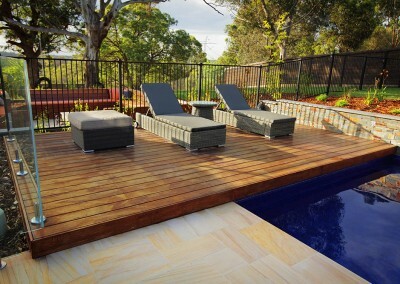 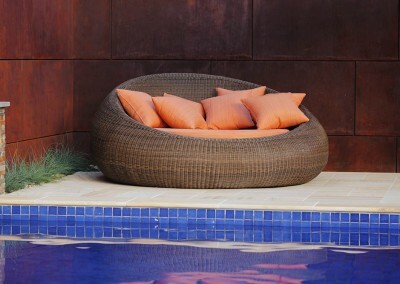 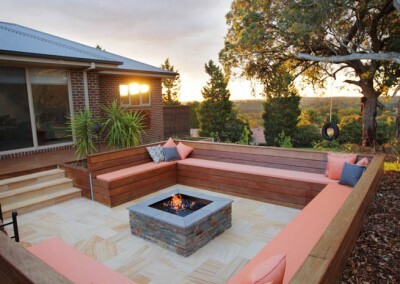 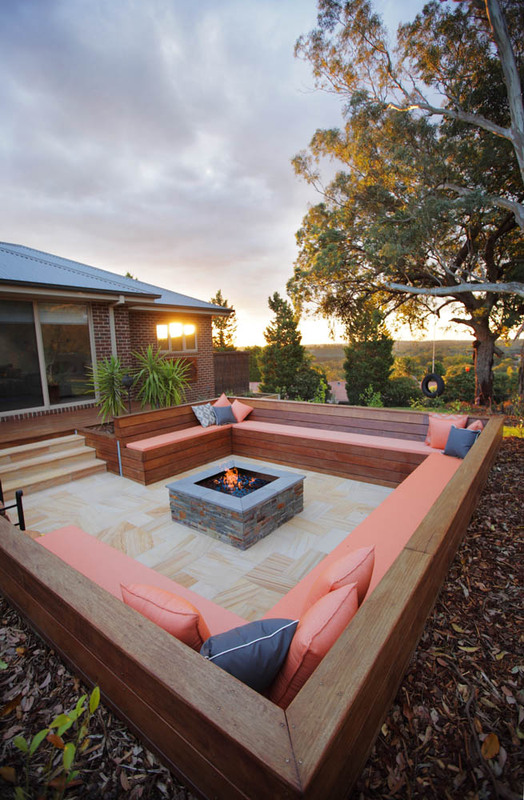 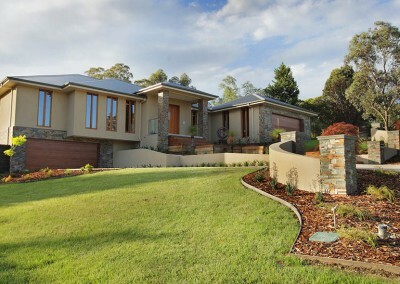 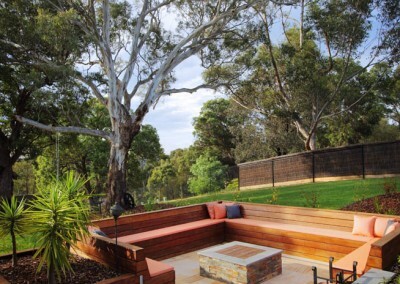 The colours of the outdoor furniture and sculputures compliment the plants and natural surrounds. 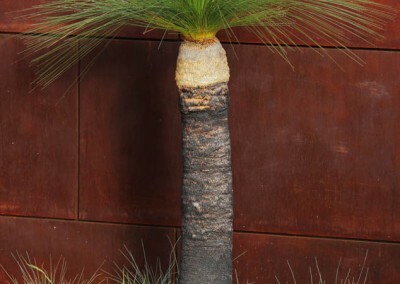 But there is no doubt that the heart of the property is discovered upon entering the rear entertaining area. 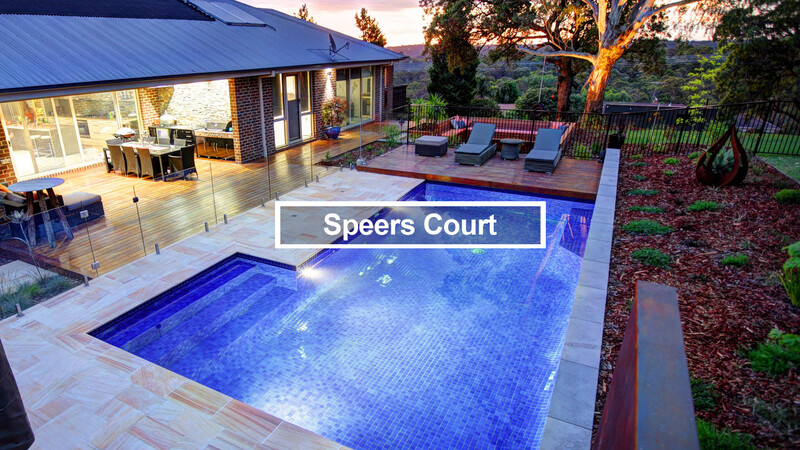 From the luscious BBQ area opening out from the Main House, to the cool, inviting pool and surrounds with relaxed decking areas at each end to the Sunken Fire Pit Area – this is certainly the Entertainer’s Paradise.